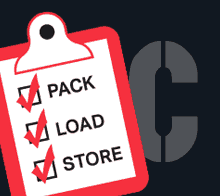 Milwaukee Movers is metro Milwaukee’s lower cost moving option. OUR DIFFERENCE – You pay for ONLY the moving help you choose! Save money by packing yourself. Milwaukee Movers will load, move and unload. Choose Milwaukee Movers, and you don’t have to lift a finger with our full door-to-door moving services. We can even clean the place you are leaving! Experienced crew, fully licensed (LC 88158) and insured. 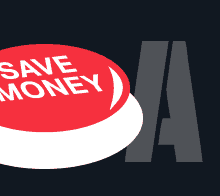 Save with our flat hourly rates and efficient staff. 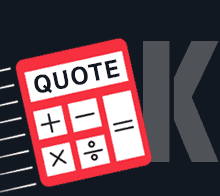 We will provide you with a fast, low cost estimate. TRY THE BEST AND FORGET THE REST. Trey and Mike were exceptional and very efficient. We have worked with Milwaukee movers before and always had a great experience. Moving is so nerve wracking and Trey and Mike made me feel at ease. We appreciate everything they did. We highly recommend Milwaukee Movers to anyone. Cedric are Jarvis are the best. I'm disabled and they made this move the easiest! They were so polite and friendly, and very very strong. Thanks guys! I'll be using you again. Had a great experience with MKE Movers today. Both of the movers that arrived were very friendly, helpful, clear and concise. They were so quick too, they got the job done very efficiently, I was very impressed! Plus, the price was right! I would highly recommend! Great guys! Excellent communication and timing. Well organized and careful. Great attitudes and teamwork and very respectful. I would recommend them to anyone in a heartbeat. Call them first and only. As Gruber Law says "one call, that's all". Thanks guys. Ask to use Trey, Todd and Jeff. 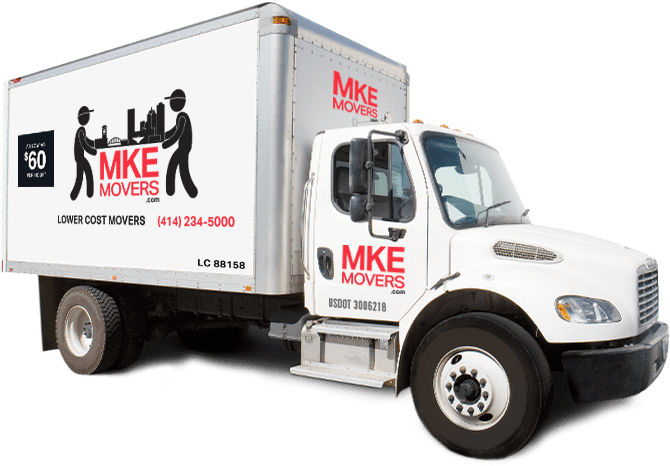 Todd and Mike did an outstanding job!My furniture was delivered in perfect condition!This was a two part move for us, and sadly when we did the first part of the move I did not know about Milwaukee Movers and used a larger national company. Milwaukee Movers were exceptional in their communication throughout the process from booking to delivery. The care they took in wrapping our furniture as well as their methodical way of packing allowed safe delivery and additional room for them to take even more of our belongs than planned.Great communication, friendly efficient movers, reliable, and at an exceedingly fair price, Milwaukee Movers did an amazing job! I requested an online bid. There was a follow up email the next day. Quite frankly that follow up was what made me call to get further information. Todd was able to work with my short notice--I only had a few pieces of furniture to be moved. Trey and Shawn were professional, courteous and got the job done quickly and efficiently. The price was less than the estimate! I would recommend Milwaukee Movers and will use them for my future moving needs. Tre and James were terrific. They worked fast and were very organized. They put everything where I wanted it. I will use them in the future. Highly recommend. Both men were friendly, fast and efficient. 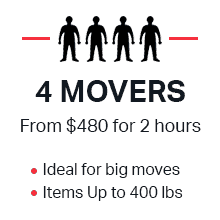 I've never hired movers before but if I had to, I'd choose this company everytime. My moving experience was less stressful thanks to them! Mike & his partner were great. The job was done so timely & professionally. They are a great team & the price is right. Highly recommend. Very professional and accommodating. I called in a bind on a Tuesday needing to move the following Sunday. Despite that they usually don't do many Sundays, the person who took my call, Todd, volunteered to take on my job and find another guy. The move was swift and price reasonable. Would use again. My wife and I could not be more pleased with the service provided by MKE Movers. They were on-time, they were organized, they were efficient. No items were broken or damaged in any way. 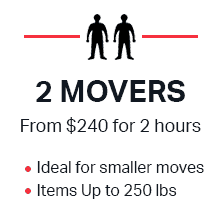 The movers needed to negotiate several turns while walking up a flight of stairs and I don’t think they even touched a wall or casement. They finished earlier than I expected, so the final bill came to less than the estimate. 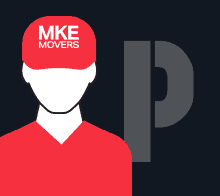 I recommend MKE Movers without reservation. A major snowstorm got us started 30 minutes later than estimated. Despite that the guys were fast and efficient and very nice to work with. The move was completed in record time and professionally. Would use this team again in the future. Thanks MKE Movers. Todd,Trey and Captian Mike were awesome. They loaded up 2 full storage units of my dads and moved him into his new condo efficiently, carefully and pleasantly. Very easy to work with they listened to what rooms I wanted the items to go to , set up our beds and even moved a piece or two more than one. Never stopped moving in the 5 1/2 hours. 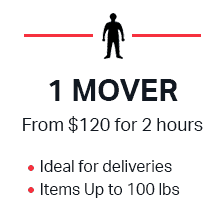 Tony who made the arrangements did so quickly and made the judgement call of the time most likely needed, the number of movers that would be most effective and the proper size truck that was needed.I would highly recommend and use this company again. Very competitive pricing as well. Ty and Dan did a great job! They were very friendly and professional. They worked non-stop and were kind enough to help us put a heavy item in our car. Would hire Milwaukee Movers again in a heartbeat. At first I was skeptical about hiring movers but going with MKE Movers was the best decision I could’ve made. The guys were great and extremely efficient. Nothing was damaged or lost and the price was very reasonable. Will definitely be recommending to friends and family and using again in the future! Excellent experience!! I'm so happy I chose Mkemovers!!! Fast, efficient service, great prices, wonderful movers!! Try them, you won't be sorry!! Had an excellent experience with this company. I would use them again and recommend them to friends and family. Tray and his partner were on time at my house. They loaded 2 different trucks. 1 that had things moving in town, and 1 loaded to go to Chicago. They were polite and respectful. I was impressed that they could pick up heavy furniture and carry it. Thanks MKE movers. *Labor only first two hours. 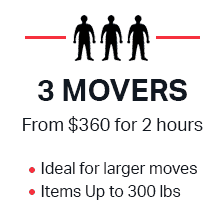 If needed, additional hours are prorated to the nearest 1/4 hour at the rate of $80 per mover per hour. Sundays, holidays and over 8 hours are charged at time and a half. Offer subject to change and may be withdrawn without notice. Restrictions apply, full details available in store.